Click the button below to add the Maxpedition 3" TacTie (Pack of 4) to your wish list. Maxpedition 3” TacTie straps are used to attach various modular tactical gears together like pouches, packs, and MOLLE-compatible accessories in an interlocking manner. For example, this allows you to have a fully secured pouch attached to your bag that will not come loose. 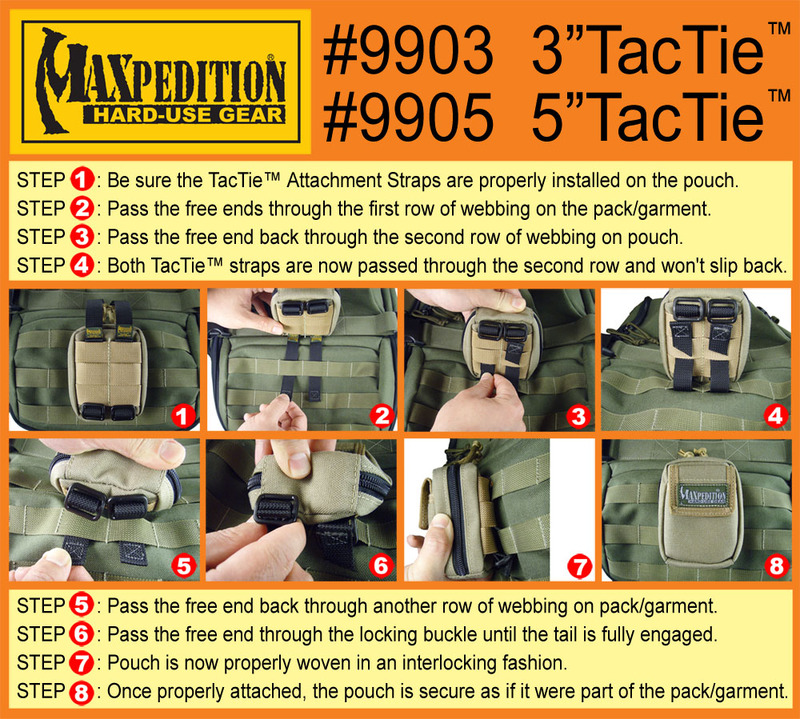 Maxpedition 3” TacTie straps work seamlessly with Maxpedition products but can also be taken off and used on MOLLE products by other manufacturers. No tool is needed to attach the TacTie. It comes in four colors: black, OD green, khaki, and foliage green. Use Maxpedition 3” TacTie to customize your gear according to your requirements and have the flexibility that you need. 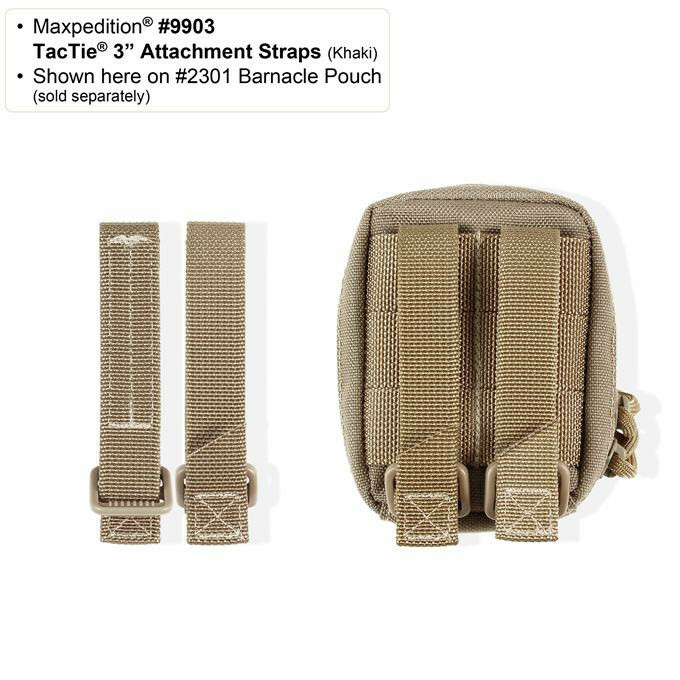 Maxpeditions patent pending TacTie Attachment Strap system is used to integrate accessory pockets onto packs, vests, MOLLE equipment and PALS surfaces effortlessly in an interlocking manner.